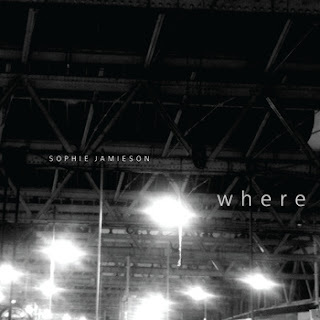 'Where' is the softly spoken debut EP from Sophie Jamieson which was released through Folkroom Records at the end of June. Having recently played a series of live shows including the To Kill a King stage at London's quickest growing, not for profit event Leefest, this Cambridge educated folk musician has gained nods of approval from across blogging networks and the online music scene, as well as featuring on radio stations across London, including independent music lovers BBC 6 Music. Along with Ben Walker (electric guitar, bass, programming), Derek Yau (cello) and Liam Hoflay (electric guitar) Jamieson's music fills shady silences with pensive waves of stillness. She makes gently breathing melodies with soft instrumentation, lifted with cello and electronic nuances, while her vocals lift and fall from heady breaths to strong expressive, full bodied notes. Opening and stand-out track 'Waterloo' sends silent shocks of melody through the 'crowds of waterloo' repeating the refrain and EP title questioning 'where are we going to?' Finger style guitar and sustained cello with subtle electronic instrumentation add body to this pensive sound. In 'Dinah' Jamieson's acoustic guitar riffs stand out on this soulfully soft and introspective folksy tune with delicate melodies harmonising with classical touches in the instrumentation. 'I Don't' has the added drama of deep resonating drum beats and fervid cello vibrato that add to the melodic shifts and lulls. 'Ode to the East' is hymn-like in contrast and reminiscent of the quieter moments of The Cranberries. 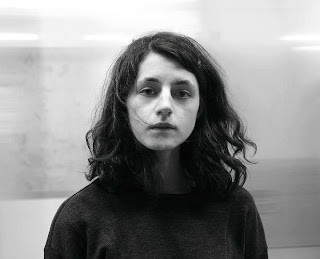 Folk is always in danger of falling through the cracks of dull repetitiveness, but there is just enough emotional and instrumental tension within this EP to keep a dreaming listener entranced. This is music like flickering candlelight, to lie still, to think and to feel to.